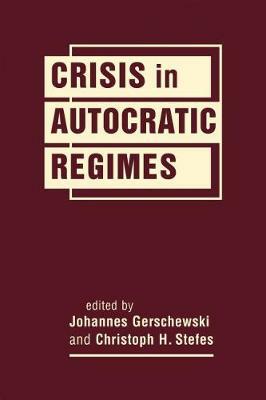 What makes autocratic regimes vulnerable? Why, in times of crisis, do some of these regimes break down while others weather the storm? This is the puzzle addressed in Crisis in Autocratic Regimes. Taking a long-term perspective, the authors focus not on sudden shocks and ruptures, but instead on gradual processes of disintegration as they unfold over time.